Do you know of any Pools in Anguilla that should be listed here? Contact us!. Regular users of the following Anguilla Pools told us essentially the most important factor about swimming is to manage your breathing. Sometimes this is not potential because we raise the neck to breathe as well as the body isn't aligned. To avoid this, our head really should be aligned with our spine all the time. Are you a normal swimmer? Have you ever practiced Aquagym in Anguilla? Let us know!. Swimia.com has the most up-to-date database on the web about almost any Anguilla Swimming Pool. Classified by countries, regions and cities, it can be easy to find the nearest pool at the places you visit. 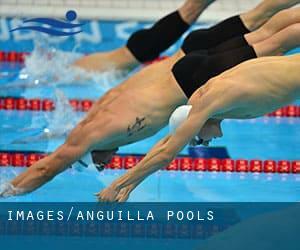 For Anguilla, you can actually have a look at the pools we have gathered for you. The greatest choice throughout your visit to Anguilla will probably be droping by a Anguilla Swimming Pool. Not all countries are the same, and swimming rules and regulations are changing from one country to the other. So, if this can be your first time looking for Anguilla Pools, make sure to call the premises before you drop by. One of the advantages of outdoor swimming in Anguilla is the possibility to sunbathe throughout the summer time season. Taking it with extra care, sunbathing is wholesome since introduces Vitamin D into the body, so the best alternative seems to be switching in between indoor and outdoor pools depending on the season. Let us tell you a secret to switch off although you are in Stoney Ground: just choose a Swimming Pool in Stoney Ground and plunge into the water! There's no extra helpful method. It's difficult to visit Anguilla with out dropping by The Valley (with 1.169 residents). Currently Swimia is showing you all the Pool in The Valley as well as the closest pools located in its vicinity. Updated on 2019 On the water , Maundays Bay , Anguilla , BRITISH WEST INDIES. Among all of the activities offered by the center, when you are interested in swimming you can expect to delight in 25 meters, Outdoors. Just in case you want to make contact with this Swimming Pool just before dropping by, we only know the phone number.